1 videodisc (DVD) (16 min.) + 1 training guide ; 26 p. ; 30 cm. Working outdoors in the heat and sun can result in serious illness, and even death, if the proper precautions are not taken. From heat stroke and heat exhaustion, to skin cancer, outdoor workers are particularly vulnerable to the health and safety hazards presented by an often-unpredictable work environment. 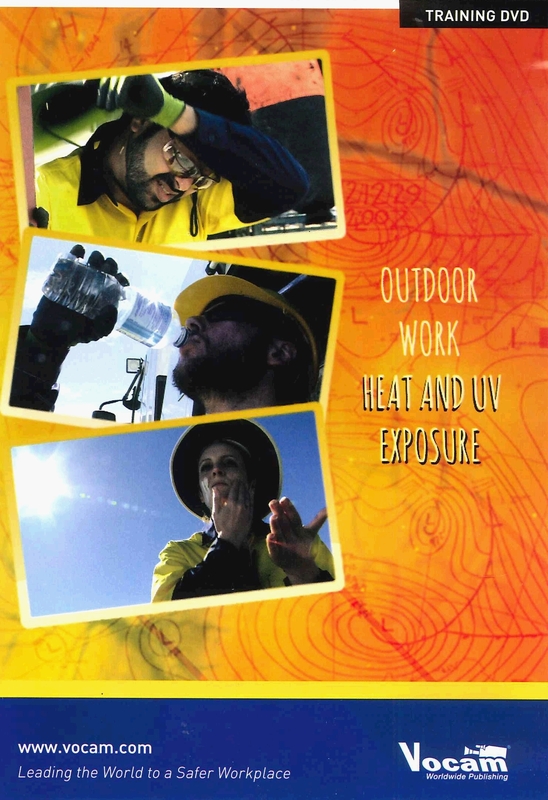 This DVD highlights the fundamental concepts that enable outdoor workers to safely manage their exposure to heat, UV radiation and other hazards. Topics covered include: Hazards in the heat; UV exposure; Risk control; First aid; and Other risk factors. 16 minutes.